Linq attacks the status quo with the sharpness of a stiletto. Political folk/rock at its best. CHANGE THE PICTURE, GEORGE! 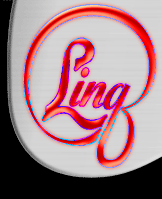 by LINQ is a 2-song enhanced CD with video that attacks the status quo with the sharpness of a stiletto. Linq pulls no punches as she challenges us to look at the roots of hatred and prejudice to gain insight toward a more peaceful world, and she also provides an Orwellian wake-up call complete with an accompanying video in CDr format that can be viewed by computer. 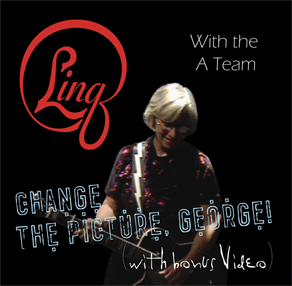 “The A-Team” (June Millington on lead guitar, Jean Millington on bass, and Lee Madeloni, Janelle Burdell and Leo Adamian on drums) joined Linq in the studio to provide the perfect background for these heartfelt political statements. June Millington produced the project at IMAeast and joined Linq in the accompanying video. Can you feel him yet?